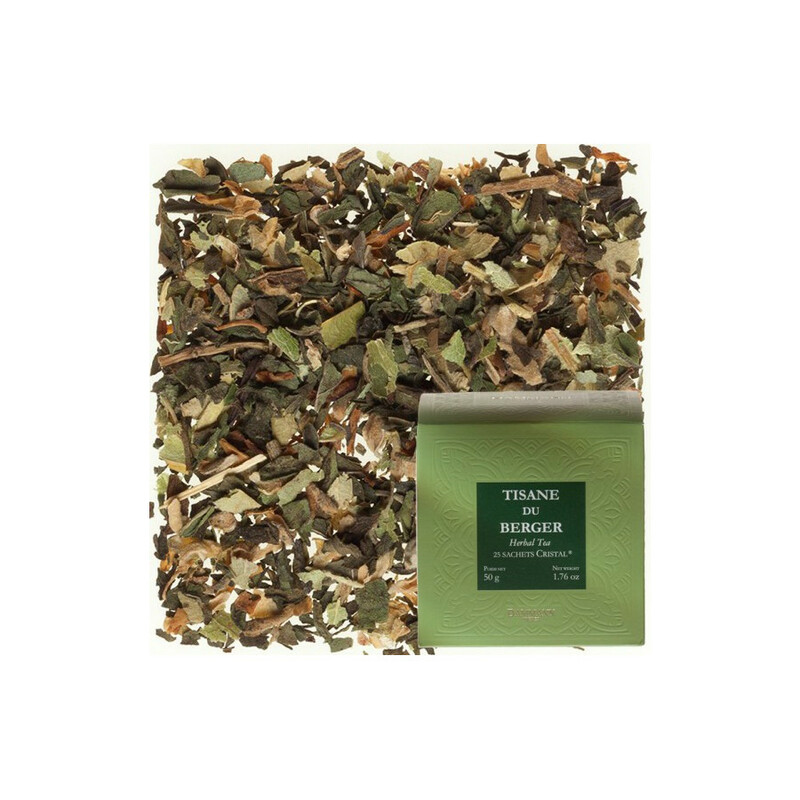 This blend of infusion plants exhales perfumes of lime, verbena, lemongrass, mint and orange blossom. 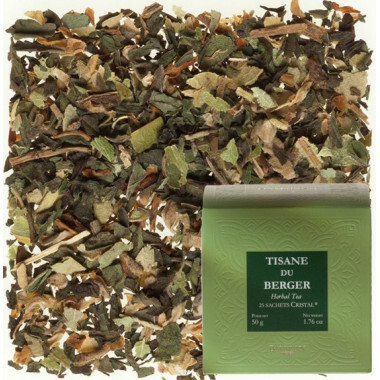 This Tisane du Berger (The Shepherd's Tea) herbal blend exhales perfumes of lime, verbena, lemongrass, mint and orange blossom. 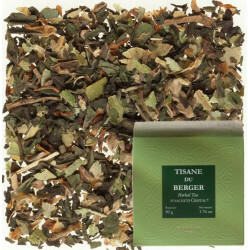 Ingredients: lime, verbena, lemongrass, mint and orange blossom.